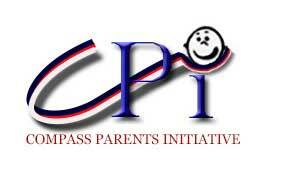 The Compass Parents’ Initiative is a group of parents who meet during the school year to come up with new ideas and initiatives that we think will have a positive impact on life at The Compass School. We look to create an added value to the School for both children and parents. Since its inception a number of years ago, a whole range of ideas have become reality, such as our “Ignite an Interest” sessions, which are designed to bring the world of work alive for our older children, introducing them to a wide range of careers through presentations from various professionals, many of whom are parents, and visits to a variety of workplaces such as theatres, broadcasting studios, newspaper printing plants and even the zoo. Through our “Park and Stride” initiative, we have encouraged our children to become independent, street safety aware individuals by walking that little bit further to school. For parents, we have hosted successful seminars covering Paediatric First Aid and Internet Security. Additionally, we have produced a termly guide to the many varied holiday clubs and activities which take place across East Lothian and beyond which has become an invaluable resource for parents. We are always looking for new initiatives so of you have an idea please email us at cpi@thecompassschool.co.uk.